You met Gina in our Volunteer Spotlight. Gina works as a Designer for Seattle Innovations. Gina is also an Ambassador for NW Trail Improvement. Gina created a profile in Royal Cause. Gina downloaded the Royal Cause app onto her smartphone. Royal Cause gave Gina the NW Trail Improvement “Ambassador” stamp on her profile, letting her co-workers at Seattle Innovations know that she would be a good starting point to discover more about NW Trail Improvement. Gina posted four photos in Royal Cause, and shared these across her social media profiles. Gina snapped selfies and team photos during her volunteering with NW Trail Improvement. Showing examples of the activities she participated in while volunteering at NW Trail Improvement helps her co-workers discover what a volunteer experience is like. Any user of Royal Cause can see Gina’s pictures and easily find them. Gina sent out an email to her group at work, inviting them to volunteer with her on a Saturday trail clean-up. 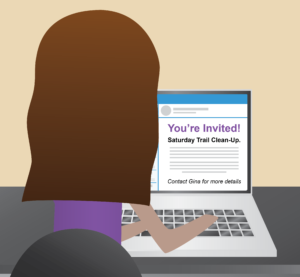 Gina sent out an email inviting her group at work to join her in volunteering at NW Trail Improvement, giving them a two-week notice of a specific Saturday she was going to help with a trail clean-up. Because she personally reached out to her co-workers, four of her group members joined her. Gina picked up one of her co-workers, Greg, who needed a ride on that first Saturday. By bringing Greg with her, Gina employed the “buddy system”, helping Greg feel comfortable showing up to volunteer with NW Trail Improvement for the first time. Now Greg is a regular volunteer for NW Trail Improvement, and has joined forces with Gina as a NW Trail Improvement Ambassador at Seattle Innovations. Since Greg is in the accounting department, he has reached out to his group there, recruiting two more volunteers. Volunteering with a nonprofit that you are passionate about? Follow Gina’s example by recruiting your co-workers! Create a profile in the Royal Cause app, and establish yourself as an Ambassador for your chosen nonprofit. 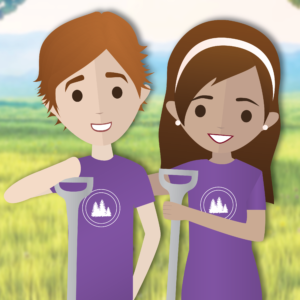 Now your co-workers will see you as an Ambassador for that nonprofit, allowing them to meet with someone they are comfortable with to find out more about volunteering. Invite your co-workers out to a volunteer activity with you! Most of the time, all you have to do is ask. Document your volunteer activities, and share these on the Royal Cause app and social media accounts. 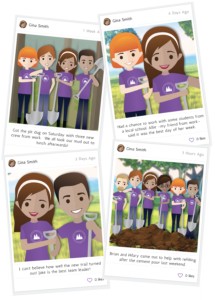 Showing what a day in the life of volunteering looks like at your chosen nonprofit is a great way to recruit other volunteers. Help your co-workers become involved by eliminating obstacles they may have to volunteer. This could be as simple as offering them a ride. 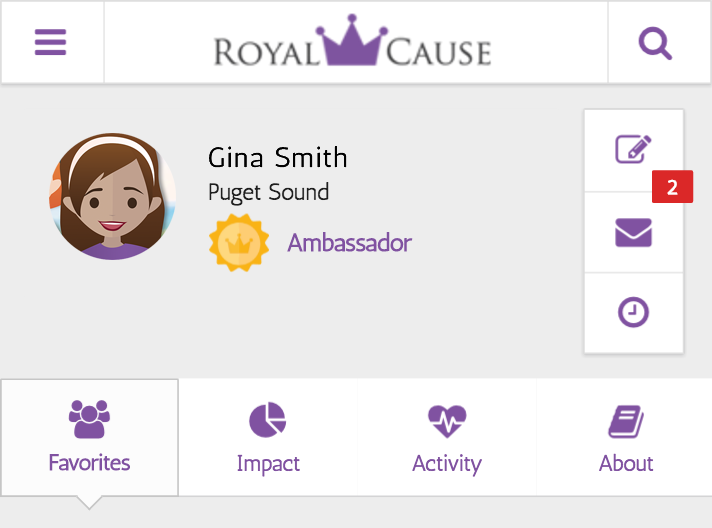 Learn more about becoming a Royal Cause Ambassador for your nonprofit at your workplace here.